Tourist Vitebsk is able to surprise and impress again and again, even if you start a leisurely stroll through its streets every day. And every time before you will face entirely new Vitebsk – mysterious and unexplored. The architecture of Vitebsk looks especially charming on the back of urban development: and everybody will confirm it. Today the city is famous for not only historic landmarks, but also modern development. 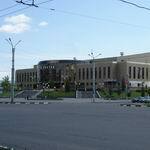 And Vitebsk Ice Sports Palace is a bright confirmation of this. And though the building was constructed relatively recently, it still could take its honorable place among other monuments of culture in Vitebsk. May 1998 became fundamental in the history of Vitebsk. Namely from this moment the construction of the Ice Palace began. At that time nobody could predict that a unique architectural structure will appear in Vitebsk within half a year without analogues throughout the city. Agree, the building impresses by not only its beauty, but also unprecedented scale - the total area of the Ice Palace is 9736 m2. Modern outlook, classic style, elegant design and ease of each element together make the facility an exquisite and unusual attraction of Vitebsk. Mirror semicircular frame adds the Ice Palace a feeling of lightness and weightlessness, filling the building both outside and inside with pleasant sunshine. 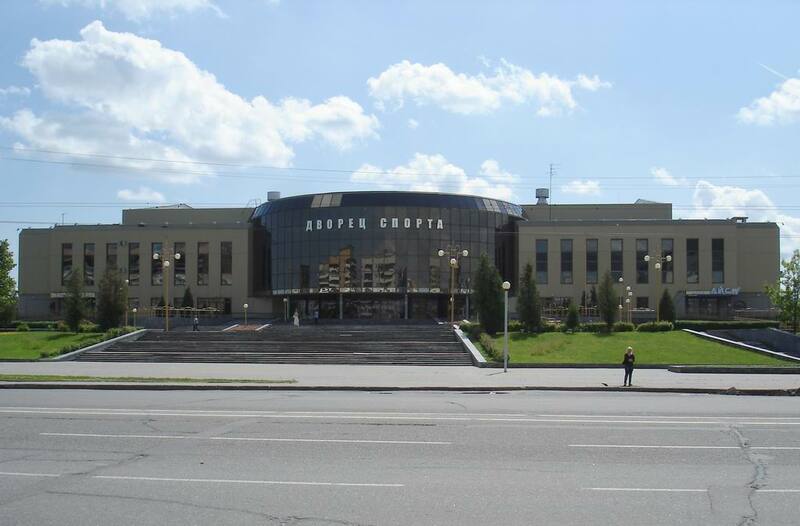 It should be noted that thanks to the modern appearance of the building has become a favorite place not only among residents but also visitors of Vitebsk: everyday in more than 600 people come to the Ice Palace to train in the fitness, and shaping rooms, to skate on the ice arena and just enjoy its beauty. Secondary school students also like the palace spending their spare time here. From time to time sport fans also come here to support their favorite team during competitions. By the way, since the opening ceremony Vitebsk Ice Sports Palace hosted more than 300 games, not only national but also international, not to mention the annual championships in figure skating and short track. And of course, the Ice Palace is a popular place for photo sessions. In fact photos made on the mirror background of the building become real masterpieces being truly unique ornament. There could not be otherwise because the facility was build according to European technologies and standards. That’s why much attention was paid to outside view of the Ice Palace which is an integral part of the modern culture of Vitebsk. Look at the building and wonder – creation, gift and mastery interlaced in one facility so smartly. You convince again and again that Vitebsk is a dynamic city, where people viewing their past are able to build their unique future. That is why many tourists look forward to get acquainted with not only the city but also sights of Vitebsk. By the way, if you want to learn more interesting facts from the history of Vitebsk, a short walk to the Museum of Soldiers-Internationalists would be very informative, as well as to the Monument to Soldiers-Internationalists, located close to the Ice Palace. Visiting the Cathedral Roman Catholic Church of Jesus the Merciful and the Temple of St.Andrew First Called will evoke delight and admiration. These buildings being valuable monuments of the architecture of Vitebsk, will give not only pleasant experience from acquaintance, but also tell a lot about the city where modernity and the era lived have woven together. 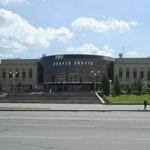 For more detailed information about the attractions of Vitebsk please visit VitebskCity.by. 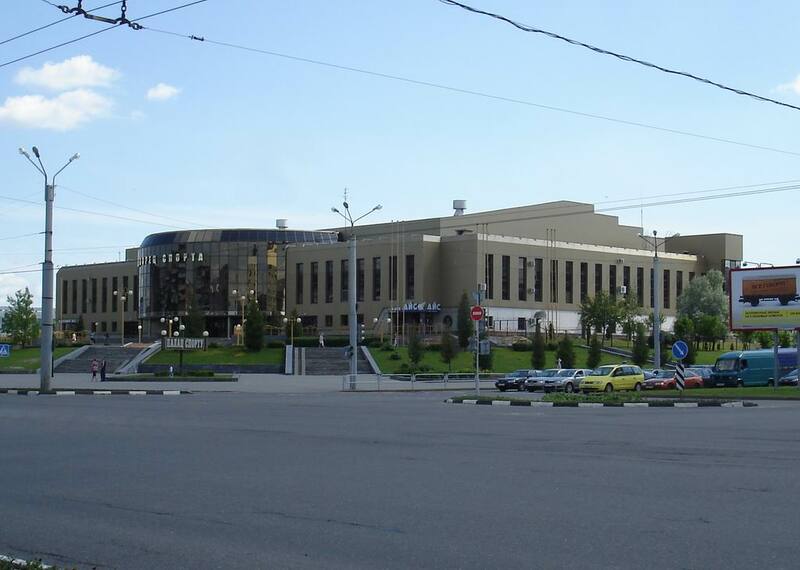 Address of the Ice Sport Palace: 23 Stroiteley ave, Vitebsk.